As advocates seek to beat back anti-trans measures in state legislatures, a new political action committee has launched seeking to build political power for transgender people. The committee, called the Trans United Fund, was announced on Monday with the goals of building political leadership for transgender people and endorsing candidates committed to transgender rights. 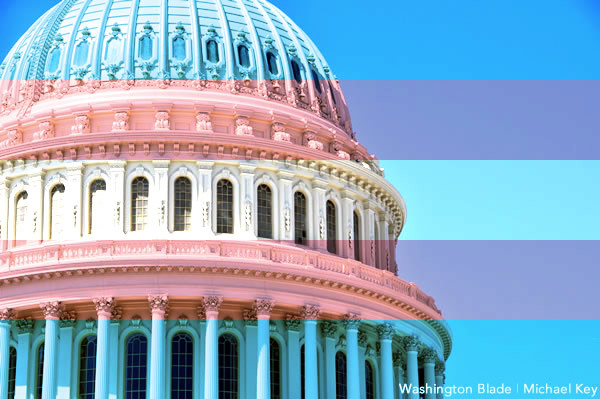 Hayden Mora, a founding member of the Trans United Fund, said in a statement the creation of the committee is essential at a time when lawmakers across the country debate measures that would impact transgender people. Trans United Fund, which bills itself as “a bipartisan 501(c)(4) organization,” arrives in the aftermath of enactment of a law in North Carolina that undoes all pro-LGBT city non-discrimination ordinances, including one recently passed in Charlotte, and prohibits transgender people from using public restrooms in schools and government buildings consistent with their gender identity. Mora told the Washington Blade the committee had been in development for some time because it sought to be “inclusive of many voices,” but is being announced at this time because a consensus was reached on the details and the multitude of anti-trans attacks by lawmakers across the country. “The mounting and ongoing attacks at the state legislatures, but also at the ballot, municipalities and schools districts really just made us feel like we needed to move and we needed to act now,” Mora said. In addition to fighting anti-trans attacks in legislatures, Mora said the committee will address other issues impacting the transgender community, such as HIV/AIDS, homelessness, treatment in immigration detention and anti-trans violence. 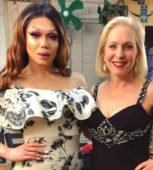 On the agenda for the Trans United Fund this year, according to a statement, is a presidential candidate questionnaire that has been developed and will be distributed to all 2016 presidential hopefuls. 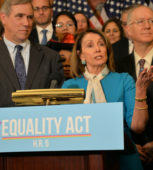 Additionally, the committee plans a legislative scorecard program and other efforts related to educating supporters and building transgender political power. 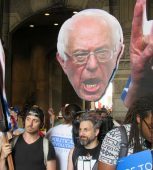 It remains to be seen which candidate Trans United Fund will endorse in the presidential race or which political contenders running for other political offices the group will support. The committee didn’t announce any endorsements upon its launch, but Mora said the upcoming presidential endorsement will be the first priority, along with establishing a presence in a handful of states. One state under consideration is North Carolina, where Gov. Pat McCrory, who signed HB 2, is up for re-election, and Attorney General Roy Cooper, who’s challenging him, has refused to defend the law in court. Other potential endorsements are openly trans candidates, like Danni Askini, who’s running for the 43rd legislative district in the Washington State House. “As the legislative season continues to unfold, as our analysis continues to deepen, and as more and more fantastic champions arrive, we’ll be making those decisions and folks should stay tuned for endorsements,” Mora said. The 12 members of the Trans United Fund advisory committee include Brynn Tannehill, a Virginia-based trans activist and Navy veteran; Ruby Corado, a D.C-based trans activist who founded the non-profit Casa Ruby; and Monica Roberts, a transgender activist based in Houston. 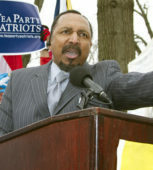 JoDee Winterhof, the Human Rights Campaign’s senior vice president for policy and political affairs, said the Trans United Fund is a welcome addition to efforts to elect pro-LGBT candidates. CORRECTION: An initial version of this article misspelled the name of Danni Askini. The Blade regrets the error. 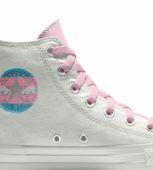 The name of the trans woman who is running for the Washington State legislature is Danni, not Danny, Askini, http://www.danniaskini.com/. A prompt correction is in order. I like that they say its bipartisan , frankly humorous given that in the current structure it actually can’t be.